Forgive me, readers, for the gynocentric lens through which I must present this week’s Previously On Comics. I am but a simple non binary woman and while I do not wish to alienate any of our male or male adjacent friends by focusing on ‘women’s issues’ instead of the more universal understanding of the news that you are accustomed to, I can not help but manipulate my words into what will most likely be an ostensibly gynocentric take on the week’s happenings. This week saw the release of Kickstarter’s 2018 figures and the announcement that its comics category is breaking records with $16 million pledged to creators around the world. This is up 26% on 2017 and with the help of recent hire Camilla Zhang as Comics Outreach Lead they hope this will continue to grow. We spoke to Camilla about her role and her personal mission to raise up the comics community here. Emerald City Comic Con announced that voice actor and long time creepo Vic Mignogna’s appearance has been cancelled after multiple fans came forward with stories that range from harassment and homophobia, to a general inability to behave like an adult. Vic Mignogna’s appearance at Emerald City Comic Con has been cancelled. With regards to our rivals in the cut throat and world of comics criticism, Aaron Long has stepped down as EIC of Comicosity, and handed over the reins to Matt Santori who is set to make some big changes to the site with plans to focus exclusively on long form editorial. So what does a new EIC mean for us? 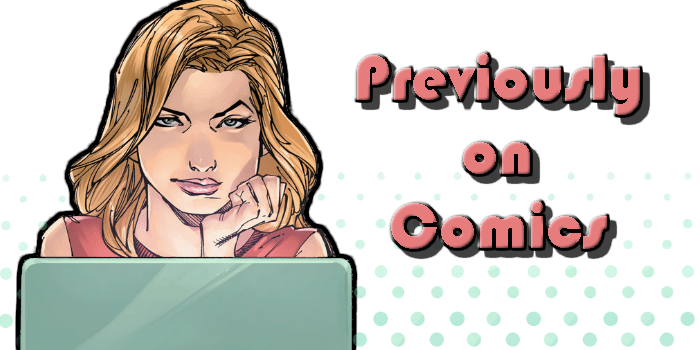 As of today, Comicosity will be refocused exclusively on long-form editorials, showcasing the immense talent we have in contributors without daily and weekly news, previews, and reviews. And, The Outhouse announced that it will be closing for the foreseeable future at the end of this week.